Amanda Goldman-Petri is internationally renowned in 19 different countries as a Work Smarter, Not Harder Marketing Coach for online entrepreneurs who want to massively expand their income and impact without expanding their work load. She has been featured on major media outlets such as the Huffington Post, Wall Street Select, International Business Times, Worth Magazine, ABC, CBS, NBC, FOX, and more for how she was able to book 6-figures within 4 months at the age of 23. Find out how this Work Smarter, Not Harder Marketing Coach leverages automation to make as much money as possible with as little energy as possible. You created two separate 6-figure businesses by the age of 23 — tell us about how you got started. Hi there. Thanks! 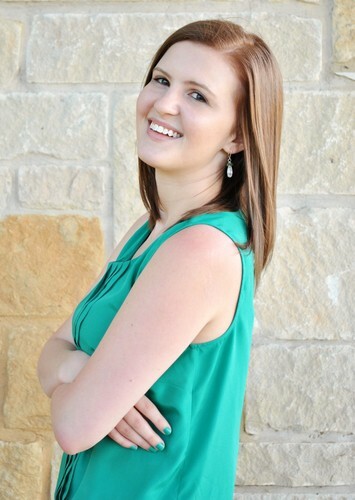 Yes, my name is Amanda Goldman-Petri and I am known as the “Work Smarter, Not Harder” Marketing Coach because I believe in using leverage and automation to allow for you to make as much money as possible with as little energy as possible. I was checking my numbers recently and realized that in 2016, I am guaranteed to make 6-figures even if I don’t sell another thing at all for the entire year. That is the power of the predictable and passive income that results from working smarter, not harder. But the truth is, it wasn’t always this way in my life or my business. I grew up poor in a crappy part of Baltimore, Maryland with a drug-addicted father, who was later replaced by an abusive stepfather. I buried my head in books with the dedication to become a straight-A honors student, so that I could escape my hometown and all of the painful memories it held for me. When I got into Johns Hopkins University – the #14 university in the world – I thought I had made it. Instead, the summer before I entered, I was hit by an 80-year-old man driving a mini-van at over 50mph while I was walking across the street. I nearly died. I spent a week in shock trauma. Months learning to walk again. Years coping with PTSD. That was the moment that changed everything and led me here. I realized that if I had died, I wouldn’t have really lived and I wouldn’t have left a legacy. I set out to change that and on this journey to find happiness, I stumbled across marketing. I fell in love, but truthfully my first try at it was not so good. In my very first business – at age 21 – I built a ton of buzz for myself but it didn’t translate into much cash. It was when I started my second business – a virtual assistant business – and decided to hire a coach that I was able to figure it all out. Within 4 months, I was able to hit my first $10K month at the age of 22. Coaches began to watch me (the young millennial on the rise) and one, Mara Glazer, approached me to become her business partner. We then founded another joint virtual assistant and social media marketing agency. Yes, we were making money, but the truth is we were hustling our butts off to make it happen and I just wasn’t happy. The lesson here is that the revenue numbers you hear experts giving can be misleading. (b) how much are they having to work to make that happen? I left my joint business because I wanted to expand my paycheck (not my revenue) and do so while working significantly less. What I discovered is that point blank the way to do that is to “Work Smarter, Not Harder” because, trust me, hustling isn’t the answer for long-term, sustainable success. 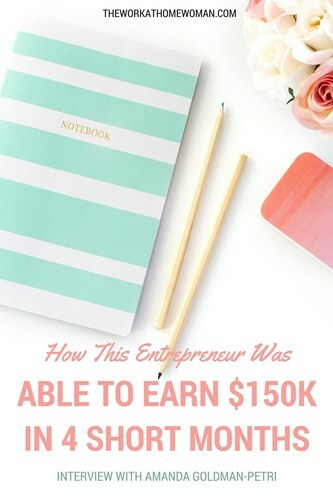 When I reached my first $10K month in my first VA business and booked $150K in 4 months in my second VA business, I had no special training beyond my Bachelors Degrees in Russian, Chinese, and Writing. These were virtual assistant businesses so I really just needed technical ability. I learned all of my technical skills while working with a social media coaching company called TheBizzyBuzz, as well as with a leading Web Design and SEO firm on the East Coast. Since starting my coaching business I have become a Certified Marketing Coach, a Certified Money Coach, and a Certified Law of Attraction Practitioner. I truly didn’t need these and if anyone tells you that you NEED a certification to make money, they are wrong. I simply love learning and believe in my ability to make a return on investment from the programs I join, so I easily jumped at the opportunities to get certified. Most of my early clients came from networking in paid coaching masterminds and other “manual prospecting” strategies, such as mingling in Facebook Groups or creating profiles on Fiverr.com. Nowadays, I use “automated marketing” to get consistent flow of leads and sales every month. This is less work and more reliable, but does require the investment of time to set it all up as well as the investment of money to feed the funnel (ie. Facebook Advertising). For this reason, most people start using manual prospecting to get an initial bit of cash in the door, then re-invest it back in to set up automated marketing. What was your big turning point? Making the decision to leave my joint business which didn’t make me happy so that I could finally start my coaching business, which is where my passion really was, felt like that turning point for me. That was the moment I started to say “No” more to things that didn’t serve me or make me happy. That’s when I started to say “Yes” to myself. It’s when I truly began to “work smarter, not harder” as I preach to my clients which allowed for me to book 6 figures in 90 days while working part-time hours. It’s funny how you naturally make money when you follow your true passion. (a) manual prospecting – meaning you are manually doing work to bring the leads in every month and if you don’t do the work, no sales come in. (b) bad offers – meaning the thing you are selling isn't set up to create recurring income. I always know at minimum what I am able to pay myself each month because my offers create recurring income and my automated marketing funnels consistently bring in leads. When it comes to “manual prospecting”, Facebook Groups has been my best source of income, with 90% of my sales from my last 6-figure launch coming from my own group (http://coachwithamanda.com/facebook). That’s because you’re able to really set yourself up as the expert and nurture your relationships with your prospects before offering anything to them. That way, when you do offer something, they are dying to take you up on it. When it comes to “automated marketing”, what I typically prefer is sending paid traffic to an automated webinar. The paid traffic is something you can scale when it’s working and it’s something you can delegate to an ads manager. The automated webinar is something you set up once then when it’s converting, you never touch it again. Therefore, this is a very leveraged and scalable way to make money. What advice do you have for other women who want to start their own business? It won’t be easy – at first. It will be scary – at first. And, yet, it will be more than worth it in the end. I had 3 other businesses before this one, but if I had given up, went back to work, or settled for anything less than what I wanted, I wouldn’t have this amazing business and life that I have now. You have a course, How I Repeatedly Bring In 50 New Ideal Clients Every 90 Days — tell us about that and who would benefit from this course. This is a free webinar on-demand that you can access at http://coachwithamanda.com and it gives an inside peek at how I have been able to add 50 clients to my roster every 90 days. There are 3 different paths to this goal and I share the sales funnels for each of them in the webinar. This way, you can choose the one that feels most exciting for you. Then, if you want my support in implementing the sales funnel you choose, at the end of the webinar you can apply for a session with my team to talk about how that works. So if you’re either not bringing in clients regularly OR if you want to increase the number of clients you’re welcoming into your business, this webinar is for you. As a busy entrepreneur, mom, and wife how do you manage all of your personal and business activities? Everyone asks me how I am able to be so visible on so many platforms, launch so many programs and webinars, and still have time to sleep in every day, stop work early every day, go on 10+ vacations a year, and really enjoy my life. (a) I am stubborn with my time and have simply committed to prioritizing my life first. This means, I have extremely clear and powerful boundaries with my business. (b) I am organized with my business planning, and set clear intentions as well as weekly action steps 90 days in advance for all of my launches and marketing efforts. Not everyone is this organized and many of my clients certainly are not, so they rely on me to keep them organized and hold them accountable (and I’m a dork so I find that fun)! Thanks, Amanda for sharing your story! Thank you for sharing, Very inspiring! Glad you enjoyed Amanda’s interview! I am praying my VA venture will be like you amanda… Coz i have lots of dreams for mg family. And i alzo want to help and inspire others like you. Glad you enjoyed Amanda’s story, Divine! Good luck with your Virtual Assistant Business! Awesome article! Thanks for posting such a great interview. This is a free webinar on-demand that you can access at http://coach- withamanda.com and it gives an inside peek at how I have been able to add 50 clients to my roster every 90 days. Glad you enjoyed Amanda’s interview, Roxanne. Thanks for letting me know about the broken link — it’s been fixed. I loved this article as I battle pretty much everything you seem to cover…I am interested in your webinar and I am also wanting to know what products/businesses/services you do affiliate with as I have a product line I would love to align with your affiliate offers!